Did you know that heating and cooling account for about 56% of the energy use in a typical U.S. home? This makes it the largest energy expense for most homes. Energy Star approved furnaces and air conditioners will help you save money along with other technologies such as a programmable thermostat. Premier Air Colorado can handle all of your HVAC needs. 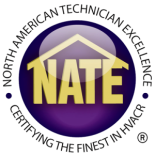 They service residential, new construction or remodel, and servicing or repairing any major brand of equipment. They offer competitive rates and complete customer satisfaction. Start improving your energy bill and improving your indoor air today! Call Premier Air Colorado at 303-993-9060 and to learn more about their services visit them at www.premieraircolorado.com .